Im going to check this out this weekend. 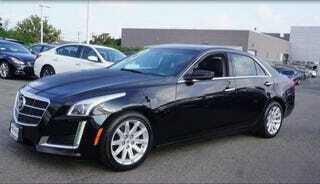 A ‘14 CTS Luxury 2.0t. 66,021 miles. The thing is though, Carfax states: Accident reported Vehicle involved in a rear-end collision with another motor vehicle, Airbags did not deploy. It doesn’t look like it has been though. Because of that minor accident, the dealer is asking $13,850. NP or CP?